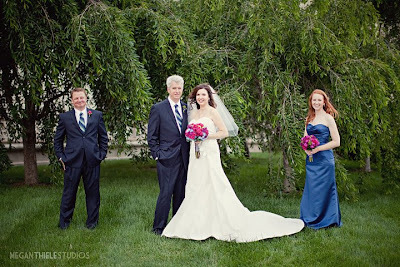 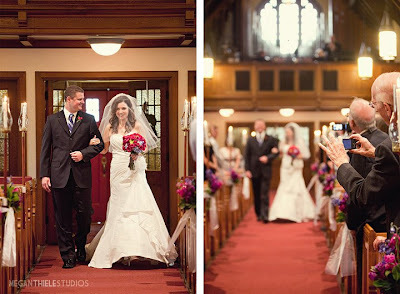 Suzanne and Dave had a June wedding with a lot of personal touches. 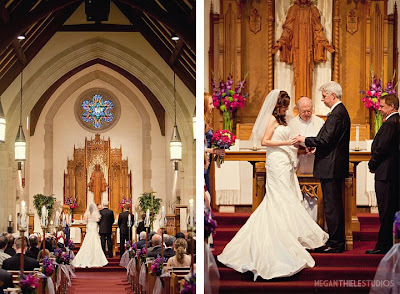 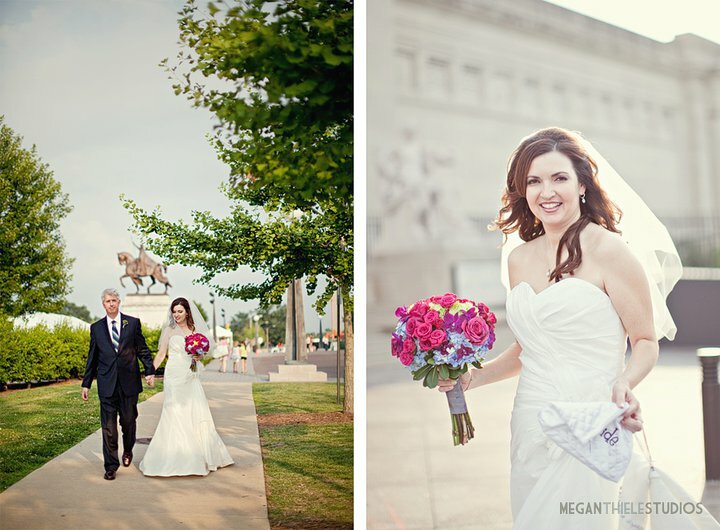 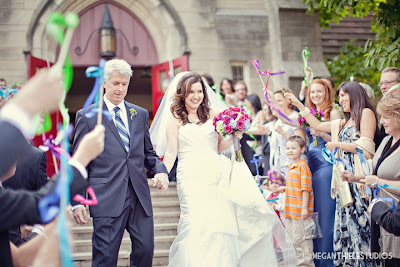 Here are some photographs courtesy of Megan Thiele Studios. 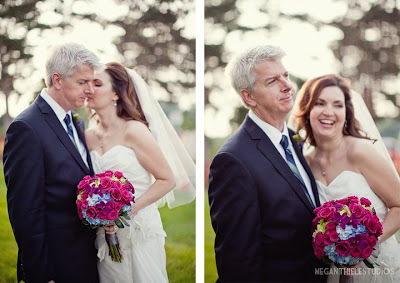 Suzanne wanted brightly colored flowers for herself. 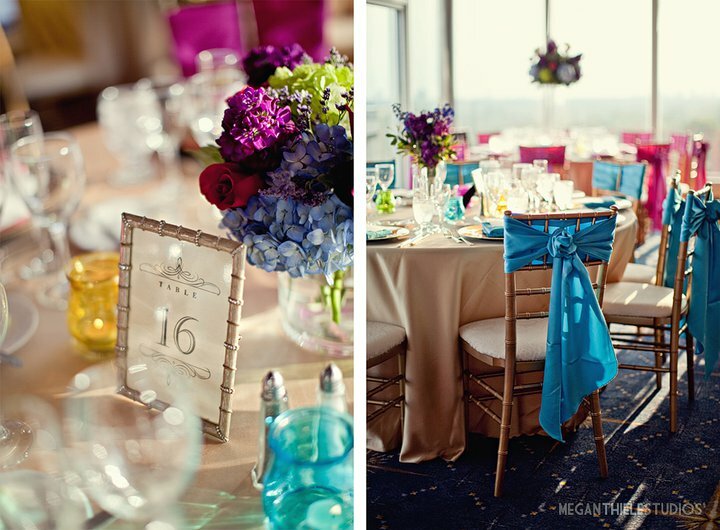 We designed this bouquet of jewel-toned blooms that included roses, orchids and hydrangea. 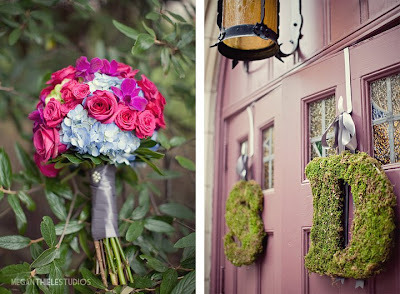 These moss-covered initials hung on the doors at the ceremony and were used again at the reception. 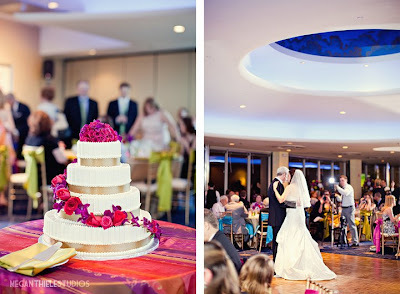 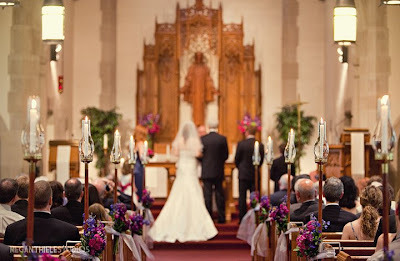 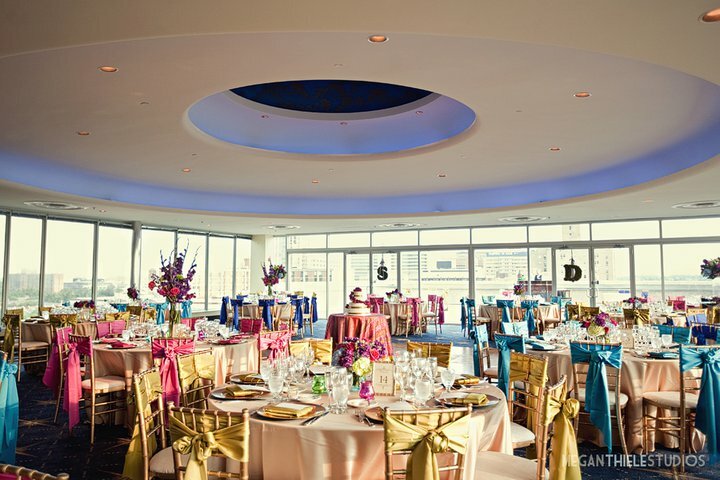 The bright colors of the ceremony were carried through into the reception in the Zodiac Room. 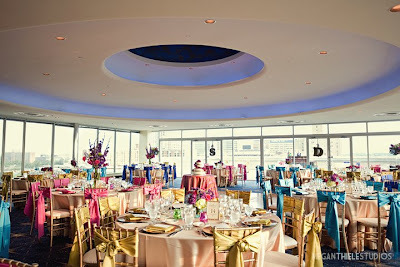 Special thanks to the staff at Proposing Dreams for coordinating this fabulous event.